Exclusive. 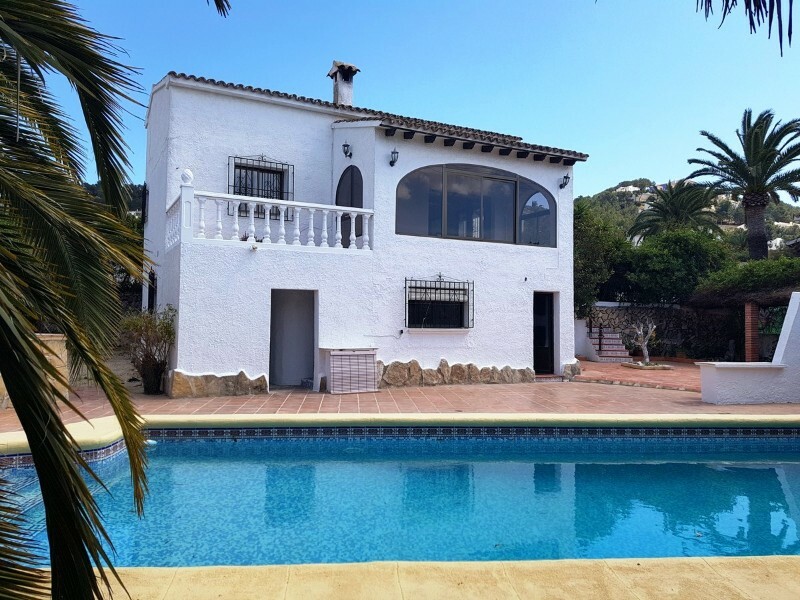 This villa is located in the La Finca urbanisation in Paichi, Moraira, 2km from the town centre and main beach and 2.1km from El Portet beach. 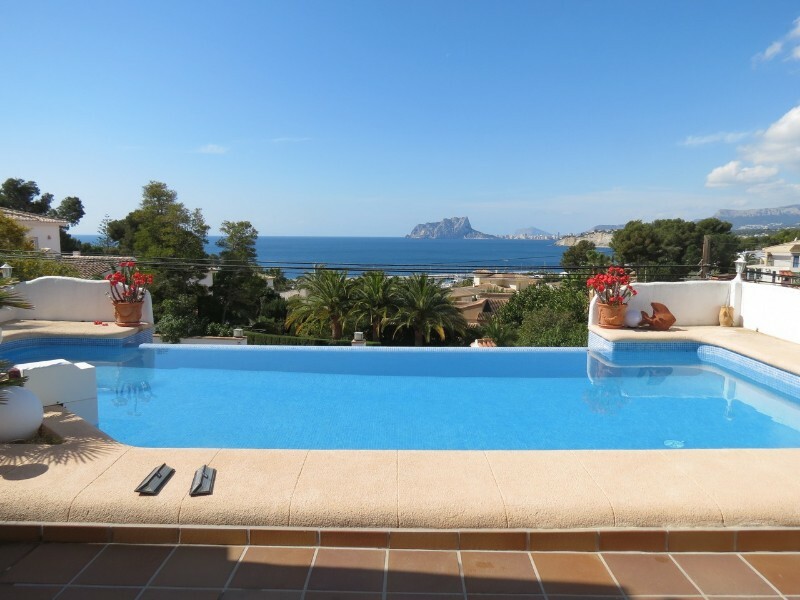 It is one of the few detached villas in this urbanisation and its elevated position gives the property sea views from El Portet to Calpe. The main living area of the villa was renovated and extended in 2002, including new plumbing, electrics, windows, kitchen, bathroom and tiles. This floor consists of a spacious living/dining room with feature gas fire, from here you have access to two open terraces, an open, fully fitted, kitchen with granite worktops and all appliances, two bedrooms and a house bathroom. From one of the open terraces there is a spiral staircase leading up to a roof terrace with amazing180º sea views. In the separate, lower level of the villa you will find the guest accommodation which consists of a double bedroom, bathroom, kitchenette, a storeroom and a private terrace. The urbanisation has a lovely communal pool area and allocated private parking for each property.- Key points:- Built: 1965- Renovated; 2002- Air conditioning hot/cold in main living/dining room- Telephone, ADSL and satellite television- Double glazed windows with mosquiteras- External awnings- Community fees 900€ including water and rubbish collection- Villa offered fully furnished- Early viewing recommended- New photos 27.10.2017- This is just one of the many Spanish properties that we have to offer on the Costa Blanca in the Alicante province. If you are looking for an apartment, townhouse, villa, new build villa, country house or a plot to build your own property, we have them all, and we also offer a property finder service to help you find the property that is perfect for you. If you cannot find what you are looking for on our website please contact us with your criteria and your budget and we will do our very best to assist you.